We look forward all winter long to the sunny summer days only to find ourselves sweltering and gasping for shade when the blazing heat hits. Working too hard or not staying cool enough can lead you to tire more easily, sweat profusely, and sometimes can even lead to dangerous medical complications. 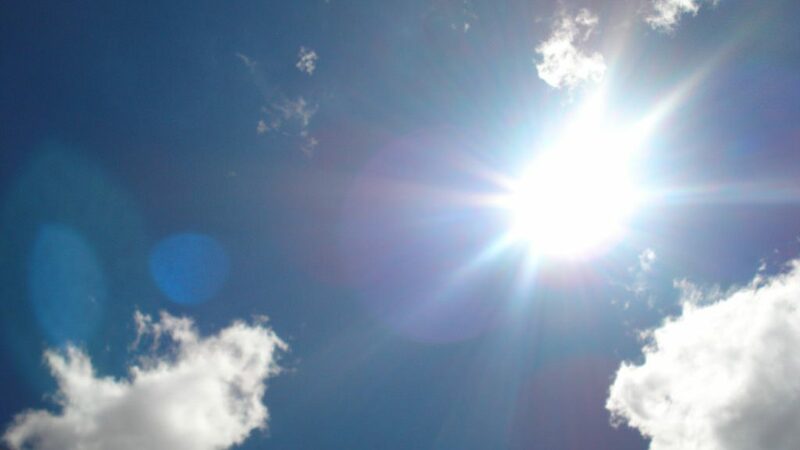 Summer can be such a wonderful season; we’ve got some great tips on how you can beat the summer heat and make the most of these bright, beautiful days. Avoid doing yard work or exercising during the mid day or early afternoon as this will prove to be the hottest part of a summer day. If you’re sticking to a regular exercise routine, get up just a bit earlier to fit in your workout before you head to the office, or wait until evening when the temperature is likely to have dropped again. Exercising or doing yard work during sweltering temperatures won’t be your most productive times anyway, so wait until the heat is more tolerable before committing to any hard labour. If you’re not comfortable or if your workplace isn’t shorts and tank top friendly, you can still beat the heat wearing summer appropriate clothing. Cotton and linen are both great choices for fabric during the hot months of the year, and opting for looser fitting clothing will also help with air movement. Hats will help to provide you with your own portable shade, and keeping long hair tied back will keep the bulk of it off your neck. Keep water handy and make sure you’re drinking enough. For a special treat, pop your water bottle into the freezer and grab one each time you head outside. There’s nothing more refreshing than a super cold drink of water during the summer months. You can also dress plain water up a bit with sprigs of mint or a splash of lime juice. If you’re handy to one, take advantage of the feeling you’ll get stepping out from a nice cool shower or bath. If you don’t have access during the day or don’t have enough time to grab a shower during your lunch break, a spritz bottle with cold water can be a wonderful refresher for your face and neck. Just be sure to keep a cloth or paper towel handy to dab. A change in your diet can also help you to stay cool. Instead of cooking heavy meals that are so wonderful during the colder times of year, stick to fresh veggies, fruit, and lighter meals. Pasta can be dressed with shredded basil, bocconcini, some cherry tomatoes and a drizzle of balsamic reduction instead of pasta sauce. Salads can be spruced up with fruit, goat cheese and a variety of fruit syrup and vinegar dressings. Lighter, smaller meals and snacks can help keep the kitchen work to a minimum and help keep the heat levels low.